Most tiles that are made in the 20th century have a layer of glass added to their surface which is intended to protect the biscuit of the tile from staining or damage. This manufacturing process is referred to as glazing. Porcelain tiles on the other hand, generally do not have a glaze added to their surface. This only applies to vitrified polished porcelain tiles. This is because porcelain tiles are formed from quartz, clay and feldspar that are fired at temperatures ranging from 1200 to 1400 degrees C. These materials and process makes porcelain tiles incredibly durable and impervious to liquid absorption with a rate of less than 0.5% porosity. The surface of a vitrified porcelain tile can be polished directly because of the tile's resistance to liquid absorption. This means the surface of the tile can be polished. A porcelain tile’s surface can be polished to any level such as lappato, high gloss or super gloss. It is important to remember that you can also get glazed polished porcelain tiles which provide the stain resistance of porcelain tiles with the added protection of a glaze. ​To polish porcelain tiles the factory uses specially made buffing pads made of abrasive diamond grinders. These pads can sometimes open up microscopic bubbles in the surface of the tile and without polishing would be invisible to the human eye. These bubbles once grinded or popped by the diamond pads because small crevasses or cups in the surface of the tile. When a polished porcelain tile appears to be stained, it is more often the result of these crevasses filling up with liquid or grime rather than the tile being stained. It is very difficult to stain a porcelain tile due to their impervious nature. Regular cleaning utensils are often not fine enough to scrape or remove grime from the microscopic crevasses in the surface of a polished tile which gives the impression that the tile is stained. With the right cleaning tools and sealing to fill these crevasses, the tile can be made more maintenance free. If the floor has not been sealed. Contact your tiler or local tile store to inquire as to recommended polished porcelain tile sealers. Clean the floor using a specific heavy duty tile and grout cleaner. Seal with a recommended porcelain sealer. Contact your tiler to identify the product that was used. This will help identify why any grime is still appearing. Contact your tiler and local tile shop to inquire about what can be done to remove any grime from your specific tiles. 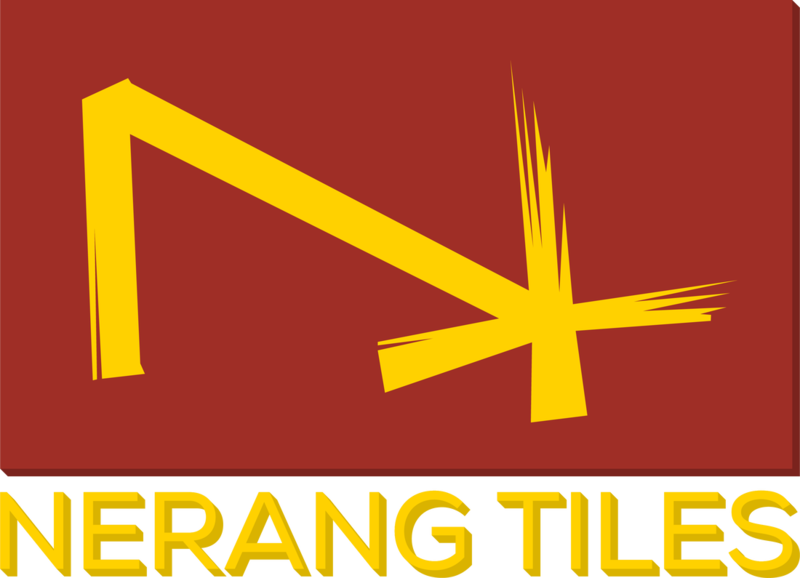 Nerang Tiles recommends using a specific heavy duty tile and grout cleaner made specifically for porcelain tiles. If the stains are difficult to remove, then use poultice, water and a white nylon scouring pad. Please follow any product instructions when using cleaners or sealers to avoid damaging your tiles, grout or any other surfaces the products may come in contact with. It is important to remember that these microscopic cups or crevasses in the surface of polished porcelain are not defects and will normally identify themselves after grouting. This is because the grout will fill the cups and be difficult to remove once dried. Sealing is always recommended for vitrified polished porcelain tiles unless the factory has already pre-sealed the polished porcelain. Sealing is generally not recommended for glazed polished porcelain tiles as they have both benefits of the impervious porcelain body and protection of the glaze. Regular maintenance of tiles requires only warm water and a small portion of disinfectant such as white vinegar.